NetEnt (short for Net Entertainment) are amongst the most popular and innovative game developers going today. There are not many online slot developers out there that can hold a candle to the accomplishments of NetEnt, their attention to detail is also something of note. Every slot they come out with seems to garner even more attention from the most eager of their followers. One need only play any of their online slots to see this for themselves. The slots that NetEnt create have inspired and also encouraged all of the right changes in the industry. When NetEnt moves, everyone else follows, and in an industry with so many developers out there presently, you need a leader/innovator, that’s NetEnt. If you love promo's, check our casino slot promotions today. 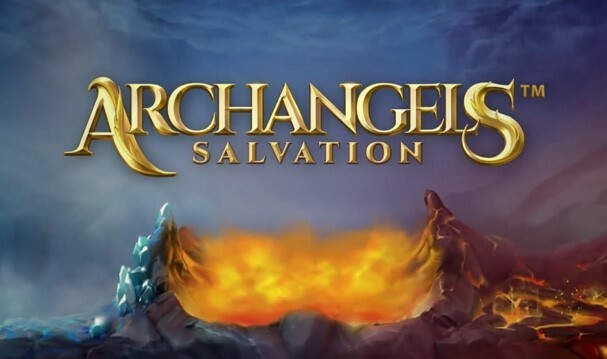 Archangels: Salvation is the first ever slot to have over 100 pay-lines that’s been created by NetEnt, making this somewhat of a cause for celebration despite the somewhat bleak theme of this slot. With the pay-lines being so large, you can expect to see various wins spread out across many different spins. One of the biggest highlights in this slot is the two separate wilds that can be found lurking in the reels. Matching 2x2 wild symbols will grant one the ability to come out on top via the use of stacked wilds accordingly. These two features are separated in that one is named heaven and the other is hell. Scatters are yet another symbol to aim for, matching scatter symbols are important tin that they will grant one access into the free spins round. 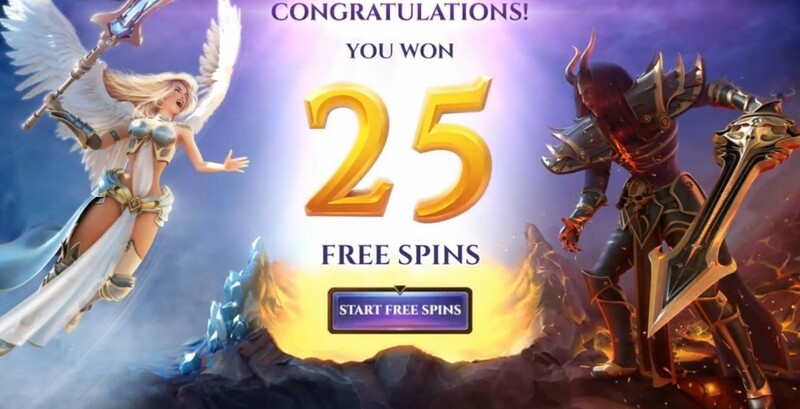 Free spins will give out even higher scores based on additional multipliers that will throw scores even higher up the slot food chain. There are a variety of different themed symbols at play here, all of which play towards the theme at play here. Archangels: Salvation is one of those slots that can be seen as highly addictive if played repeatedly. NetEnt have clearly done their homework, and their experiment in using 100 pay-lines is clearly a success. Check out this slot, you will not regret it! If you enjoyed this game why not try Break Da Bank Again.